3 for Intelligence: BAO pics part 2! I just got some pics in from Dave Fay of Dave Fay is awesome, inc and I wanted to post a few of the cooler ones, as well as a link to his gallery of shots from the BAO. You can see all the pics from his games and his time a the BAO here. 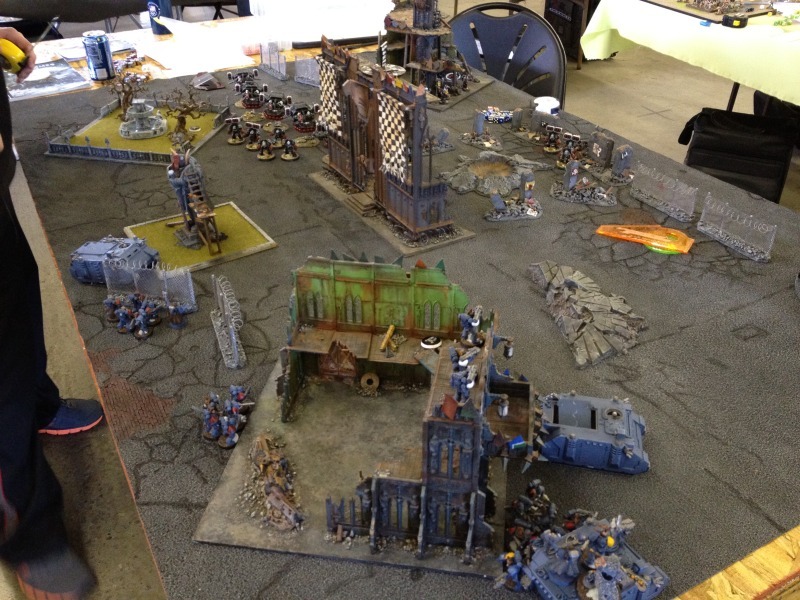 First up is Grimgob's home made Ork battlescape. 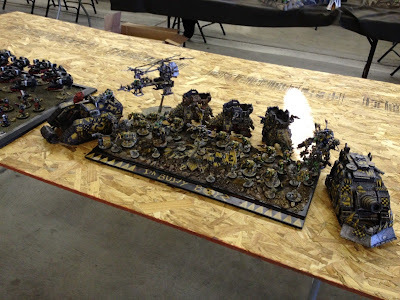 The man loves him some Orks, what can I say? All the terrain is super modded to an Ork theme. down to the details of Ork graffiti and grots putting Orky bits on the imperial statue! Thanks for bringing this up, Grimgob! Continuing the Ork theme, we have the winner of best painted overall. Soldado actually got to play against this gentleman and wound up taking him down. 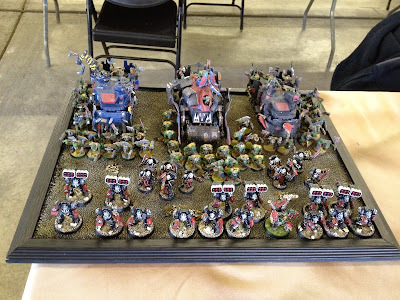 He's got a bunch of forgeworld counts as stuff, but a brilliantly painted bad sunz army! Here's Dave and Russ' list from game 3 of the team event. Both armies are well done and I believe Dave got honorable mention in the overall painting contest. 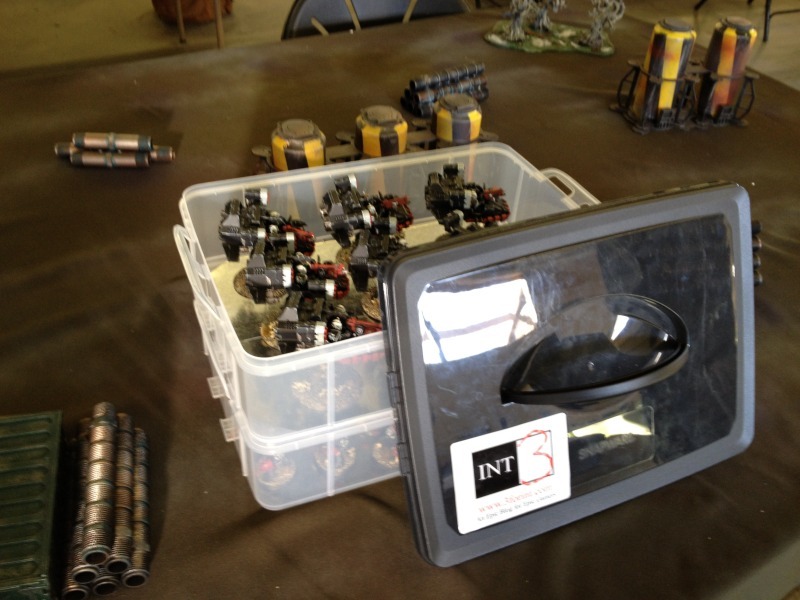 Dave branded his box with a sweet 3 for int sticker. And finally, at the beginning of day 2. 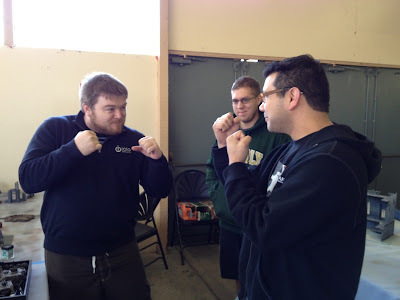 The epic matchup of matchups! Pre-game fight stance!